Not a good one, but ZYL's role Hua Wu Xie is a very cute and funny boy, happy and always smiling. Hey, guys. I'm a new member for this topic. I've been a silent reader for quite sometimes now, but today, I've decided to join in as a member. You guys are so lovely and kind in here, so I hope I am welcome to join. @katthy regarding As Flowers Fade and Fly Across The Sky though. I watched the entire series (for the sake of ZYL, of course) and I am mostly agree with the reviews on the series itself. The plot was intriguing at first though (for me tbh, I mean I may have a thing for unconventional ancient medical procedures; but was taken aback by the ridiculousness of the so-called medical procedures in this series. I am no medical practitioner though ) Sigh, I wish I knew about the 2x speed sooner. Btw, new Weibo Update from Zhu Yilong. I almost screamed. Hey guys, also new fan here. Ive been a silent lurker for a while and I dont know how active I can be, but like @softzyl mentioned, you guys seem friendly and nice! Anyway, I wanna start off by sharing how I've come to admire ZYL. I first saw his pictures on a vietnamese facebook fanpage on general chinese fandom. The fans photoshopped his face into a lady so I didnt really know how he truly looks like. That was probably around past summer after he got a huge stardom breakthrough from Guardian. But at the time I didnt even know about that webdrama. I kept seeing the poster on asian drama sites and thought the poster gave me Infernal Affair or Death Note vibe with two male leads as nemesis. I actually thought Bai Yu gave off Tony Leung's image. Flash forward to last month, I began watching Letting You Float Like a Dream because I like the actress An Yue Xi. I didnt really have high hope for the drama since I dont particularly like that genre in Chinese production. However, I had a pleasant surprise as the drama hooked me from the get go. I remembered Zhu Yi Long and realized my impression of him was slightly different as he was much more manly in motion. I told my sister about him and said he looks like Stephen Chow and Tony Leung, but more on the former. At this time, I still couldnt find the appeal in his looks since I felt like he looks so much like Stephen Chow and yes I dont find Stephen Chow one bit attractive. As the drama progressed, I found him a great actor and handsome, possesing a combination I dont usually find in Chinese mainstream dramas. However, it was until the episode where he witnessed the female lead (An Yue Xi) accepting his best friend's proposal and later confessed to his elder female friend that he was so hurt about it that I confirmed he a special actor. He emoted so well that I wanted to cry with him in that scene (I dont usually cry for melodrama) He carried the entire show and I went from being An Yue Xi's fan to rooting for him more. I like their chemistry eventhough I do think she could have given more romance on her part. I actually think she's a lot more romantic in this drama compared to her other ones and this is primarily with ZYL's help. (If you guys followed any of her previous dramas, you would understand exactly what I mean. I think she's already married ) I enjoyed the drama up to episode 32. Oh and after I watched the show with my mom, who used to like Tony Leung, I really think he looks the most like Tony Leung. I only thought Bai Yu looked like TL from the character image he played. 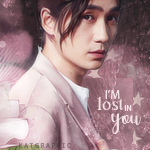 But ZYL is like Tony Leung from inside out. I can't stop seeing the resemblance. He was even asked by an interviwer whether he likes Tony and he said yes. Then the interviewer asked if he was told that he looks like Tony and he said yes, back when he was in school. Then the interviwer said do you want to play the type of character Tony often played? And he said yes he did want to play but because the cultures are different, he doesnt think they would fit. I agree with anyone who said ZYL is like a different person each time you watch him. I watched Guardian (although I only got to watch up to 3 episodes because I dont really like the genre) and again he is another person in there. I think his acting skill is proven even further by the fact that he often plays different characters in one show. I recently read an article written by an interviewer about him and the gist of the article is to commend his simple personality and respect for acting. They also likened him to his favorite actor, Johnny Depp, by saying the two can play different characters without bringing themselves into their roles. The audience is so immersed by their acting that only until the screen shows their names that they really cared about who played the role. The article also shared that he is also a very disciplined person because of his upbringing by his mother and he went to film academy because of her. He is someone who only focuses on fulfilling his role well instead of the glory and in between of a celebrity. He sees himself as an actor and so if he has already taken on the job to play a role, he will not complain about the hardships the the role brings or the unwelcoming pressures a celebrity gets from stardom. Basically, from reading articles and watching his interviews, I think he is a gem that we dont often come across, especially in today's chinese showbiz where you see completely new faces dominating the media. The gap between their looks and acting is so huge that they often get called "flower vase" or "idols" or "fresh meat". They pretty much make "good looks" to associate with "bad acting". So in an interview, when ZYL was asked whether he associates his image as being more "idol-like" or "talented-side", he answered he is just an "actor". Basically he is only an actor and doesnt focus on those labels. I'm pretty surprised that by the amount of media attention/fandom power he is having. His weibo posts get more reblogged and likes than people like Luhan, Yang Yang, Li YiFeng...etc. I truly hope he will get popular dramas but at the same time, I know he owns anything he acts in. p.s. that hair combing scene from Phantacity is so similar to Tony's scene from Days of Being Wild. The cinemotography and direction are strikingly similar and that cant be help further by his resemblance to Tony. I wonder if thats intentional. @katthy As Flower Fade and Fly Across the Sky is one of ZYL drama that end in happy ending with him getting the girl. After watching the painful and depressing thing that was Border Town Prodigal, As Flower Fade was like oasis at that point of time. I really like his character there. I hope you have fun watching. @siobhanne If you didn't ask, I would never realized that there is almost no chinese drama that I know that has good antagonist. Good antagonist here means a character that you can sympathize and even root for. Chinese drama has tendency to glorify the protagonist while neglecting the antagonist. This is not only happen in drama, but in novel too. Well, one drama that perhaps has acceptable antagonist is Ashes of Love. Run Yu character there sure has justified reason why he acts like he does (even though it is still wrong thing to do). But, his character still cannot make me root for him, unfortunately (I know lots of people there will think otherwise though). It is Korean Dramas where I find has good antagonist whom can make me root for them more than the protagonist. There are 2 of them that I can remember for now: Mishil and Bidam from Queen Seon Duk, Gwi from Scholar who Walks the Night. Especially Mishil character; I think she is more qualified to become the Female King than the main character. Nirvana in Fire has some very good antagonists. You should try it if you haven't see Nirvana in Fire. It is one of the best, if not the best drama in China. Yeah, I also really liked it. Haven't watched NIF2 yet. It's kind of funny with Hu Ge, I can't watch or read anything about him, because I don't want the character to be tainted (not necessarily in a bad way) by the actor. I can't take any chances with this character. @softzyl @minshinlover Hello guys, glad to have you here!!! And whoa @minshinlover thanks for sharing how you got into him, that's some journey there haha! He does sometimes remind me of Stephen Chow, just sometimes, but I guess we're not the same in that I actually find Stephen Chow good looking haha.. Well actually, different angles of his face actually remind me of different people. For example, sometimes when he peered upwards and his thick eyebrows are scrunched up, he really resembles Lee Pace (The Hobbit), in fact, in a lot of pics before Guardian, and sometimes in his recent drama too, he kinda looks like Lee Pace to me, especially during his Pushing Daisies days (if you're interested in western series and haven't seen Pushing Daisies, go see it. It's a great series, although it got cut too short for reasons unknown ). Some other time from a different angle, he kinda looks like Lay Zhang Yixing. To be honest, if people didn't mention it, it wouldn't have occured to me that he looks like Tony Leung, but when people keep pointing it out, I do see the similarity, but he's like the softer? version of Tony Leung, and by that I mean his features, not his mannerisms. Suddenly I can see both Tony Leung Chiu Wai AND Leung Ka Fai in him hahaha I guess it's just because he has so many expressions it just makes him resemble a lot of people lol..
thanks for the warm welcome! Oh i actually do find him resembling Lay. But Tony Leung gives the most resemblance in my opinion especially when he smiles. I do agree that his features are softer, especially his gaze. I have to find the pics when I get home from work, but its okay if you dont find them looking alike. I actually enjoy xian xia (martial fantasy) to an extent. Journey of Flower is one of my all time fave. I just don't really enjoy having too many genres or timelines at once. Maybe Im just getting old and dont have time to watch many dramas these days. Thanks for the rec! I'll find time to check it out a little. I actually really am hoping they adapt First Love, Forever Love by Shu Yi (anyone heard about this popular novel) soon and cast ZYL in it. The novel is pretty interesting and I couldnt cast any male actor in mind 3 years ago when it was announced to be adapted. But now ZYL appears clearly in my mind for the role. Basically the male lead is a successful businessman with a sorta casanova personality. The way the author builds up this character is pretty interesting. He seems completely real and not like your Mr perfect, but there is also so much depth and passion in this guy. He is a bit like Luo Fu Sheng from Letting You Float Like a Dream. Welcome @minshinlover and @softzyl, we enjoy having new ZYL's fan joining the fun here. We got a very nice and kind group of people here (a bit too obsessive with ZYL but we are normal...I promise! ) so we can chat very openly here so please feel free to continue commenting and sharing your thoughts here. Second, I hope you or anyone else won't take this the wrong way but I hope we can refrain from mentioning ZYL looks like someone else... The reason is because there was an earlier incident (I really don't want to mention it here but hopefully, I can just touch upon it and the topic ends here) After ZYL's performance on Phantacity, there was some people who said he looks like Tony Leung and those hired 'hater' used that and cause problems between fans for both side. Oh no really??!! Wow people can use all sorts of things to create problems sigh.. But you're right, we'll just see ZYL as ZYL, with his shy smile and warm personality. I did think it was harmless enough just talking about how at some angle this person looks like someone and not even comparing their talent or anything, but haters these days are really persistent.. So I'm definitely going to refrain from making these remarks in the future. I do understand how it can get bad when we just mention someone's name when talking about another, even without ill intention *shudder* Thanks for the reminder! @biskotmeriHi I am from China and I think as long as you don't say it in a Chinese app or website such as Weibo, Zhihu or Tianya then it is OK. I think you have the right to express your idea. It is just because there are some really bad people in China who are paid to sabotage ZYL. If you say it here then they 1) Won't be able to access this site because most people in China need to use VPN to access sites like Youtube, Facebook and there are lots of Youtube content here, 2)Most of these professional haters won't be able to use English properly, because a well educated people will get a proper job. Most of these professional haters won't be able to use English properly, because a well educated people will get a proper job. Hahahahahaha!!! I am sorry but your last line make me laugh out loud...so true! I know exactly how you feel!!! I am officially traumatize with the number of tragic endings/characters he portrayed. I just did a quick tally and guess what? Of all his dramas/movies I watched from him, I have to watched him die 10 times plus 4 more with sad endings!!! I remember I saw a collection mv on the different scenes (number of ways he died) It is enough to give a girl depression especially since you can feel his emotions...Anywho, I am just like you...whatever he chooses I will still watch even if tragic... btw, I know in the tomb series he have a sickness/poison or something but he didn't die, right? Please tell me he didn't!!!?? ?